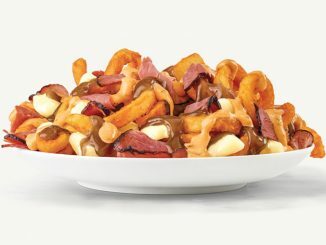 Arby’s Canada is running a new promotion where you can get two of the chain’s Gyros for $9 at participating locations. 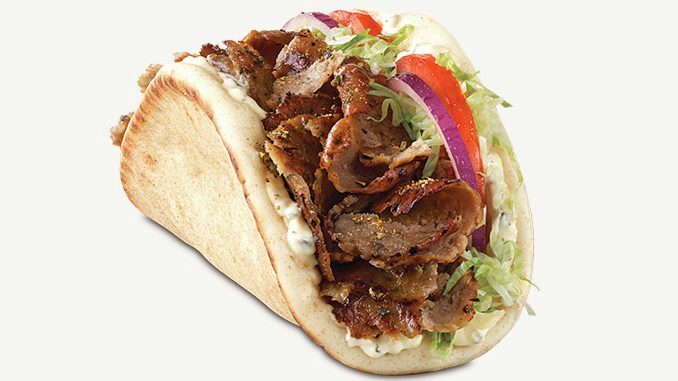 Traditional Greek Gyro: Flame-seared, knife carved Greek gyro meat, red onions, shredded lettuce, tomatoes and creamy tzatziki sauce, on folded warm pita bread. Turkey Gyro: Thinly sliced roast turkey, shredded lettuce, red onions and tomatoes, cool tzatziki sauce and traditional Greek gyro seasonings on our soft pita. 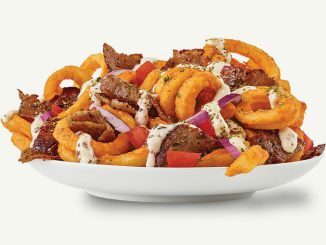 Roast Beef Gyro: Thinly sliced roast beef, shredded lettuce, red onions, tomatoes, cool creamy tzatziki sauce, and authentic Greek seasonings all folded in warm pita bread. 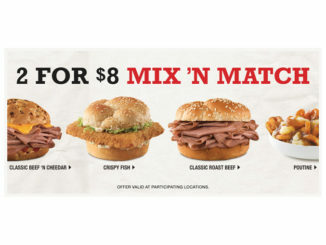 Arby’s 2 for $9 Gyros deal is available at participating locations across Canada for a limited time.